This page displays all the campervans that are available for hire in Ayrshire . If you would like further information or to speak to the camper's owner about hiring their van please visit their Camperbug page, by clicking below. I am Bowie, hire me today! Ziggy is the ultimate vehicle for your next road trip. 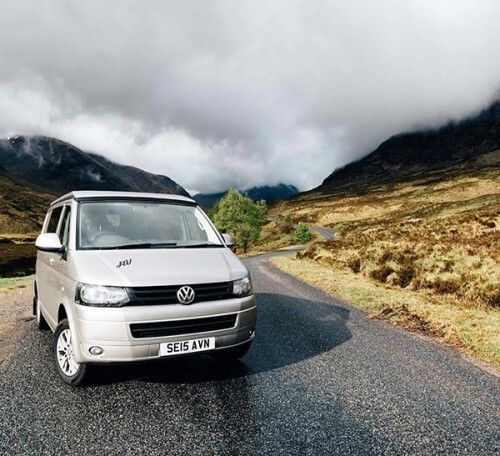 With a double bed in the back, a fridge to keep the drinks cool, this vehicle is perfect for getting away to your favourite events - turn up the CD player and experience Scotland in style. Smokey is comfortable VW T5.1 2010 camper with many more facilites. Bean bag arm chairs free of charge....!! !